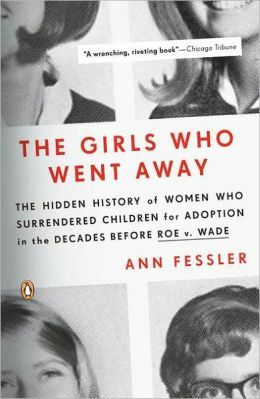 In this deeply moving and myth-shattering work, Ann Fessler brings out into the open for the first time the astonishing untold history of the million and a half women who surrendered children for adoption due to enormous family and social pressure in the decades before Roe v. Wade. 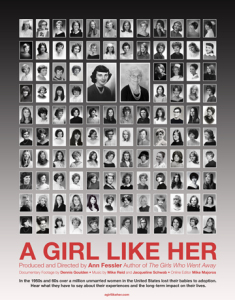 An adoptee who was herself surrendered during those years and recently made contact with her mother, Ann Fessler brilliantly brings to life the voices of more than a hundred women, as well as the spirit of those times, allowing the women to tell their stories in gripping and intimate detail. Today, when the future of the Roe decision and women’s productive rights stand squarely at the front of a divisive national debate, Fessler brings to the fore a long-overlooked history of single women in the fifties, sixties, and early seventies. In 2007, the book was a finalist for the National Book Critics Circle Award. 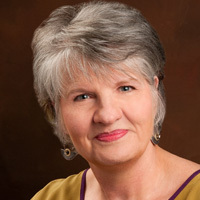 In 2014 , Ann Fessler won the Adoption Trailblazer Award.